After having mucked about with 'Russian'- type PAR models for a while I thought I'd have a go at some other configurations. This new model was built to explore some of the reports by Mr Chuck Bixel (USA). He has been playing with his 'Double-Wing' concept for some time. 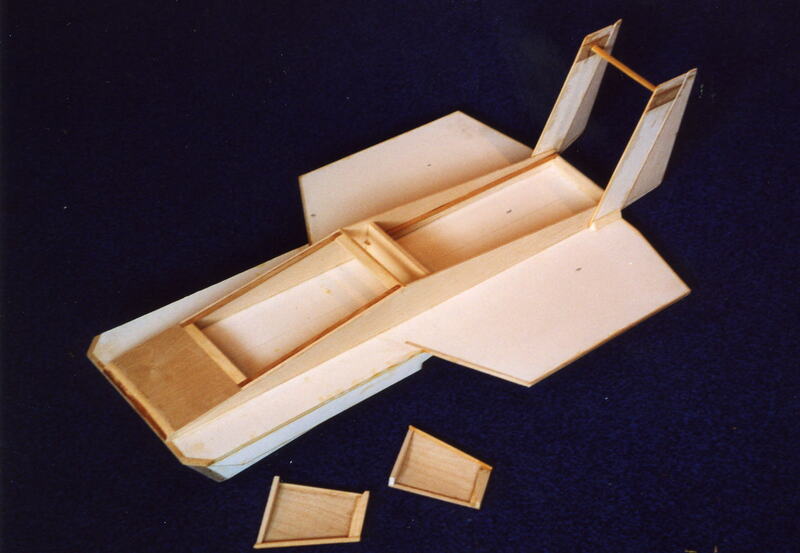 Another reason for building the model was to explore the air cushion takeoff aid concept, similar to that used by my friends at Fischer Flugmechanik. This is only the first model of this type that I have built, and it is clear that I have much to learn. 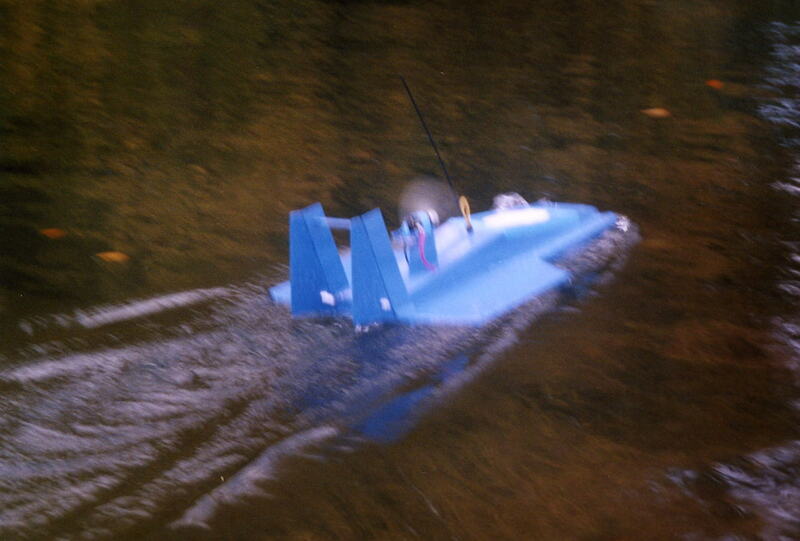 Having spent four year thinking about it, doing a whole load of sketches, building the model over about one year, it became obvious within two minutes of putting the model on the water that there were many faults. The model does not work properly yet (if only things worked first time!) so many modifications are needed. Still, that is the nature of experiment engineering. Early trials - cushion not effective. 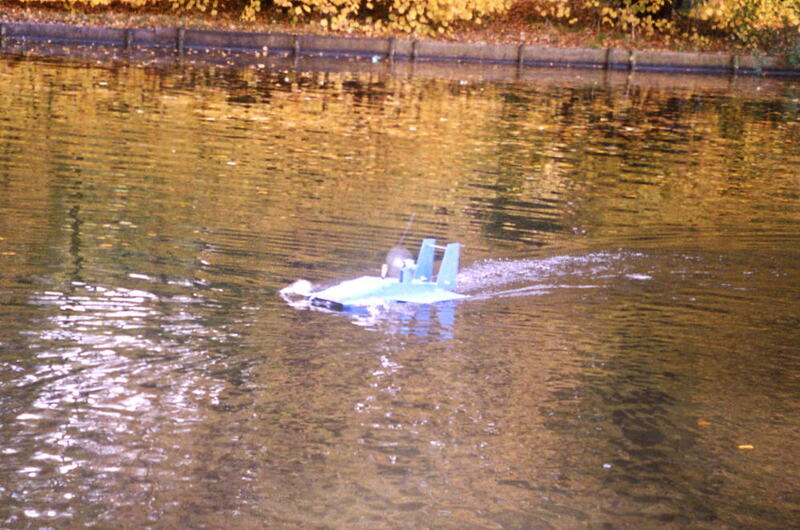 Modified with ducted fans and bow skirt fitted. 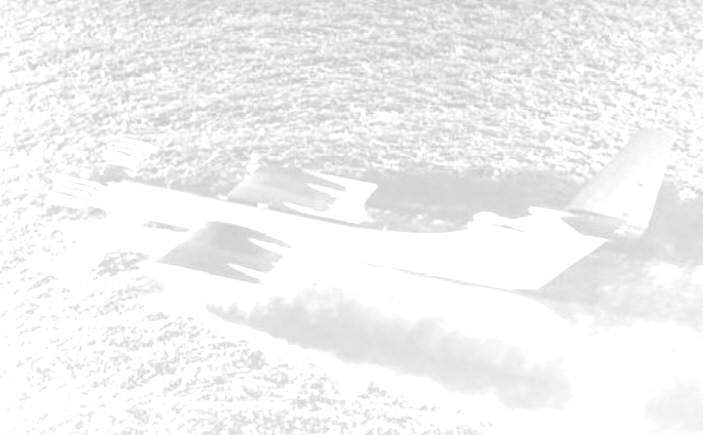 Bow skirt inflated - but still a lot of drag, and not much thrust. Another modification - this time to remove the ducted fans and fit part-ducted twin propellers - the thinking being this would give more effective static thrust.